I recommend to get NWNcx to launch NWN1. It will bring you back the known server listing within the game. If you get an incomplete list, click a different tab and than back to the server tab. Note: it may happen, that the "nwncx_disablems.dll" (plugin to get rid of the master server error) may cause your anti-virus program to warn you. Either you set it to ignore this file or just don't use it (and wait for the master server error message). 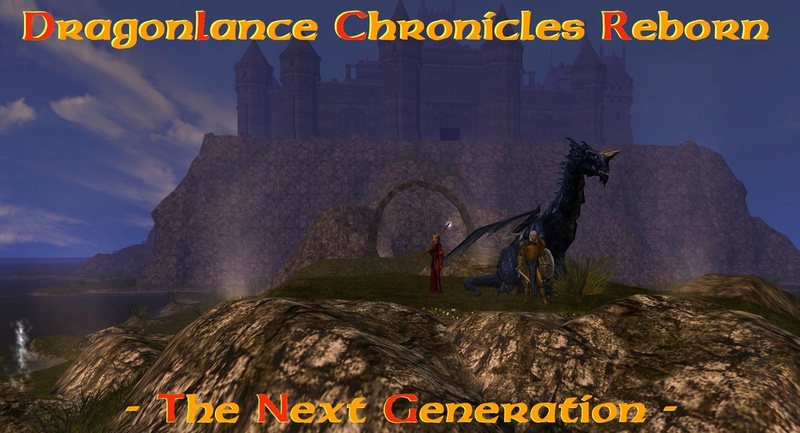 ATM, the server is called "Dragonlance Chronicles Reborn" and the module "Dragonlance Chronicles Reborn TNG [Version]" or "DLCR TNG..." and it is listed under "Roleplay". Remark: I will mainly host on weekends (at this stage) from Friday until Monday. It may be up during the week. It will tell, if it's online and how many players are in. A very fast way to do a quick check! Save with with the extension .bat (DOTbat) to your NWN main folder. Check, if that file has been given a further extension by the editor (eg. .txt). If YES, delete that, so .bat is the only extension/at the end of the file. -> Again: This BAT must be in the same folder as your NWN game (nwnmain.exe)! But that one seems not active atm.